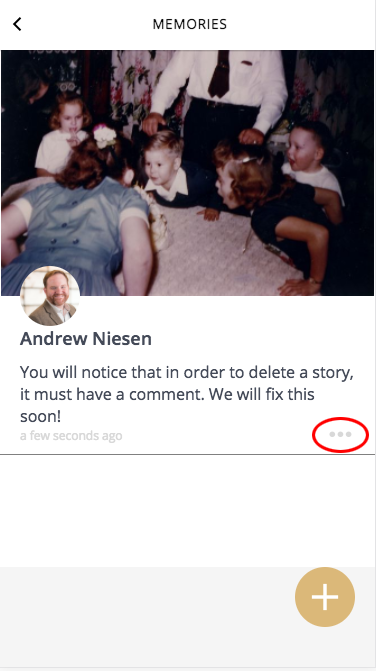 You can delete photos in weGather if you own the photo and it has a comment. 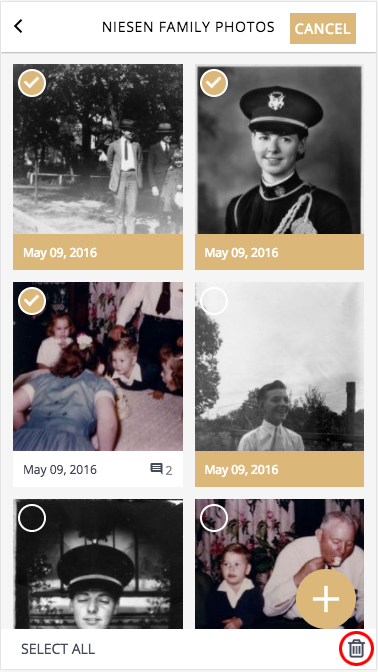 You cannot delete photos that belong to another user that have been shared with you. 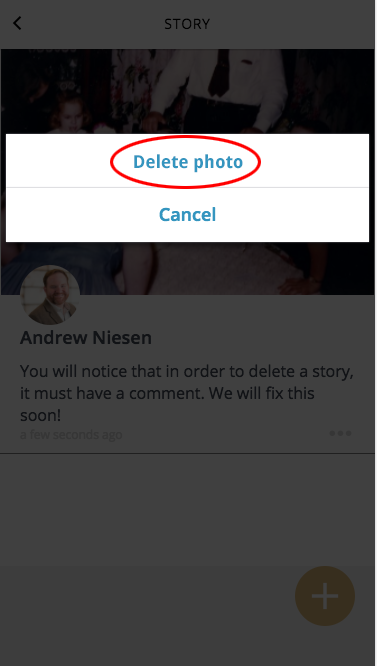 To delete a photo that you own, click on the “…” button next to the first comment. The delete feature is still a work in progress. 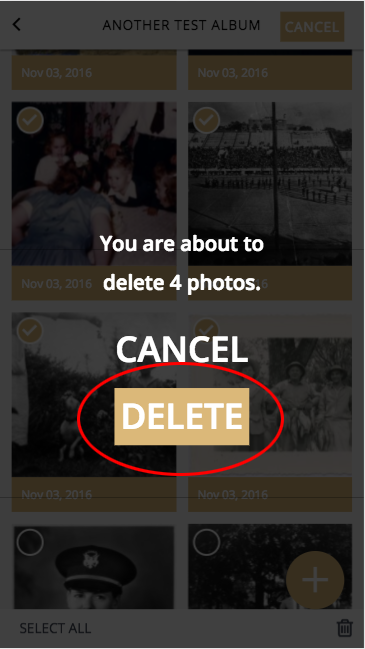 We will be adding additional features to make it easier to delete photos in bulk, and remove photos that you don’t own from your account. If you need help with deleting a photo before then, please get the URL link to share the photo and send us an email along with the support link. We will happy to delete the photo for you.